The Cheque Printing Software not only stores your data but can design your data in the form of your multiple or single search to finally give reports to you as for instance, suppose if you want to know the name of the party like MTNL, how many cheques issued during the 3 months, the cheque printing software retrieves it from its database and give the reports as per the parameters specifed as for the same for amount and date. 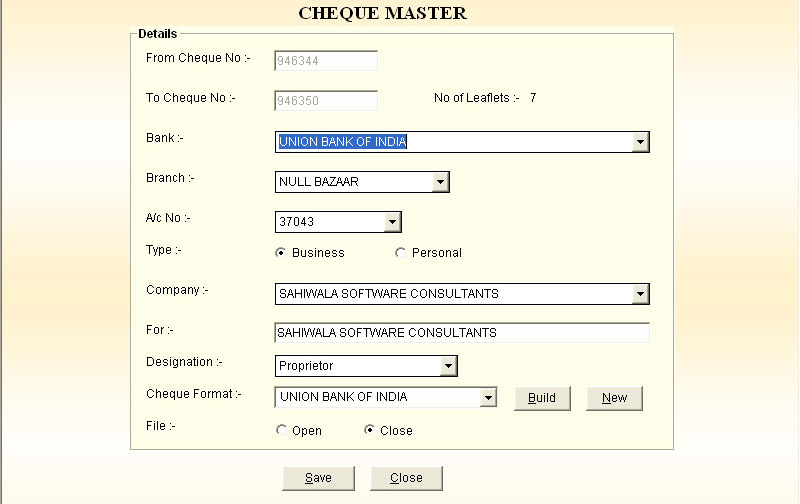 In the Online Bank Cheque Printing Software one has to create the new cheque book master where he has to give the numbers of the cheques and against of which bank and company.The Bank Cheque Book Software has the formats of different banks like IDBI Bank, SBI Bank, ICICI Bank, Canara Bank, Dena bank and others. 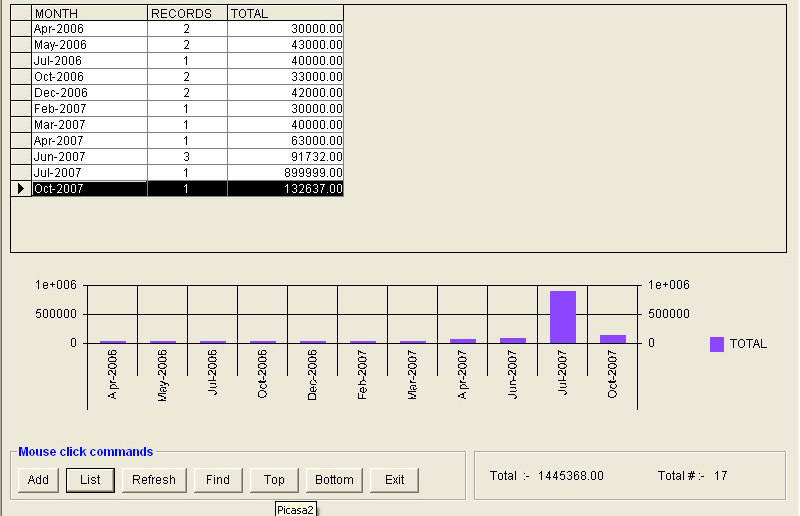 After Creating the Cheque Book one has to feed the information in the data screen of the cheque to whom he has to issue a cheque.The Bulk Cheque Printing Software has inbuild facility of integration in to Tally Software, the data is exported to the tally software automatically. The Cheque book printing software import facility is also there of Excel too.The printing cheque software makes auto bulk salary cheques from the imported Excel file it will generate cheque Nos. Payee Amount and also in words. 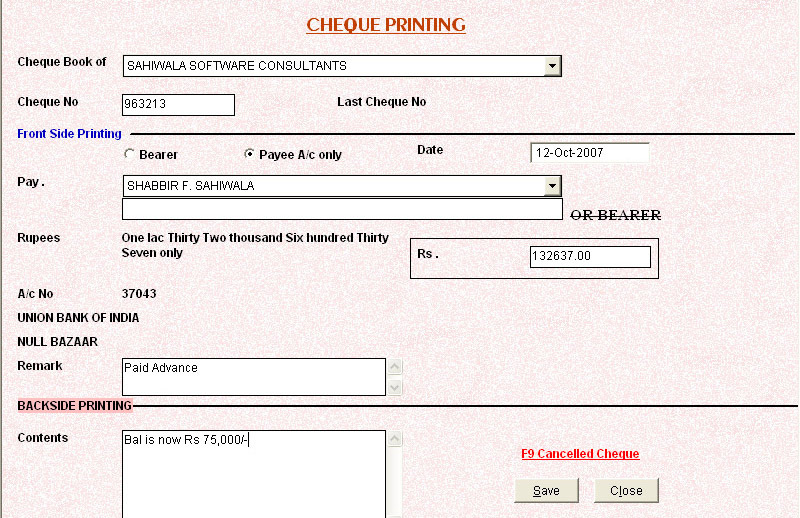 The whole data of the cheque is stored in the software with its naration and back side narrations too. There is a facility of cancellations of cheques too. 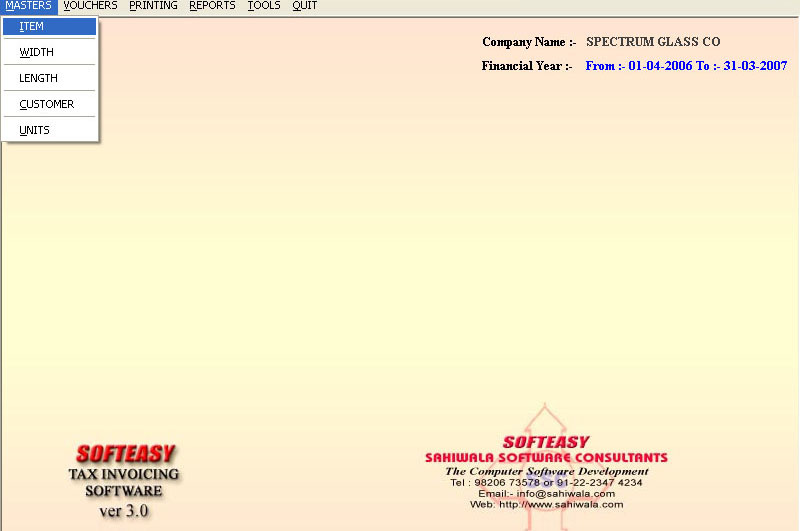 The readymade and free download Cheque book printing software can be customized the cheque printing software in to customized cheque printing software.